Women who carry a gene that puts them at increased risk for Alzheimer’s disease tend to lose weight faster after age 70 than their peers who don’t carry the gene, a new study reports. The findings add to a growing body of evidence linking weight changes and the onset of Alzheimer’s, and shed new light on how genetic factors may play a role. For the study, researchers looked at 1,462 women who were part of a large and decades-long study of aging and women in Gothenburg, Sweden. They ranged in age from 38 to 60 at the start of the study and were followed for up to 37 years. The researchers had information about which women carried the APOE-E4 gene, which increases the risk of developing Alzheimer’s in old age. Some people who carry the gene will go on to develop the disease. They also had records of the women’s body mass index, or BMI, a formula that takes into consideration height and weight to determine if a person is underweight, overweight or normal weight. The researchers found that declines in BMI after age 70 were most rapid in women with the APOE-E4 gene, regardless of whether the women went on to develop dementia. 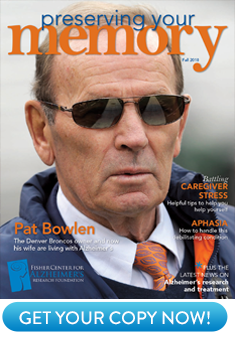 The findings were published in the Journal of Alzheimer’s Disease. Other studies have shown that elderly men and women who quickly shed pounds are at increased risk of developing Alzheimer’s. The weight loss may precede the onset of Alzheimer’s by more than 10 years, suggesting the long latency period of the disease. 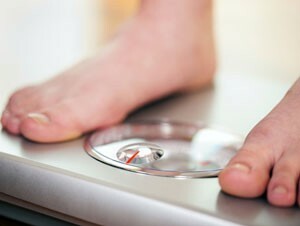 Carrying excess weight in midlife, on the other hand, has been linked to an increased risk of Alzheimer’s late in life. This study found that carrying the APOE-E4 gene, a risk factor for Alzheimer’s, also predisposed people to shed pounds rapidly in the later years. Most people, however, tend to lose weight after age 70, so losing weight does not mean you will get Alzheimer’s. Rather, it may be an early warning sign. One reason why people prone to Alzheimer’s may lose weight is that they may develop a loss of initiative in the earliest stages of the disease, making them less likely to cook or prepare meals. People at risk for Alzheimer’s may also lose their sense of smell, which may make them less interested in food. In addition to careful monitoring, some simple caregiving measures may help. For example, researchers report that using brightly colored tableware may make it easier for those with Alzheimer’s disease to see the food and beverages in front of them, leading them to eat and drink more at mealtimes.